Your business depends on favorable profit margins, so saving money whenever and wherever you can is critical to succeeding where it counts most: the bottom line. One way to help ensure that you are in the black is to change the way you light things up. That is to say, the lighting you use in your business can have a profound impact on how much you pay for utilities each month. One way to lower electric costs is to switch to LED lighting, if you have not already. A two-lead semiconductor light source, light-emitting diodes (LEDs) can last as much as 25 times longer than incandescent lighting while using 75 percent less energy. Savings like that can help light up a business owner's face when he or she sees the savings on a utility bill at month's end. 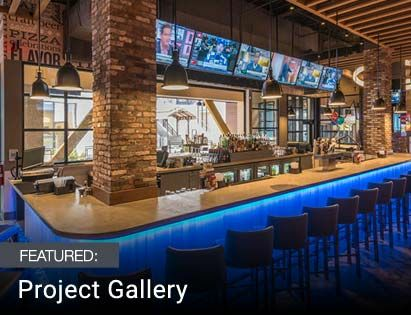 And on top of the energy savings, creative uses of LED lighting can also create visual interest in your business or products, attracting in potential customers and increasing overall revenue. 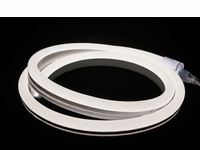 LED strip lights have a thin profile with high light output and low energy consumption so they are easy to use, versatile, very bright and energy efficient. They can be employed in windows or for signage. 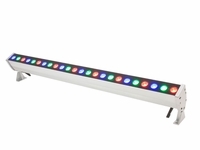 LED light bars are good choices for accent and task lighting in your business. LED lighting controls have built in functions so you can employ multiple colors, flashing, and fading effects for outdoor displays attracting the interest of passersby. 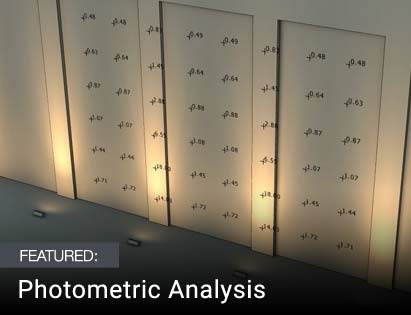 You can use LED lighting for exhibitions or displays at conventions or trade shows to highlight your booth and make it stand out from the crowd. In an office setting, the quality of light produced by LEDs as opposed to traditional incandescent or fluorescent fixtures can improve the ambient illumination of your office space. With the capability of very precise optical control, LED bulbs and fixtures can spread light wider than their fluorescent counterparts, resulting in an even distribution of diffused, glare-free light. LED lights can be used in display cabinets. 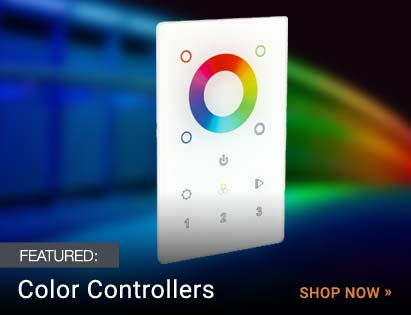 They provide a more natural appearance, and you can be creative with the multicolored LED kits by employing color options, dimming the lights or using other controls to create a unique customized lighting solution. 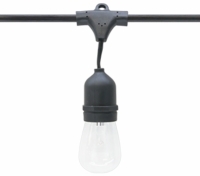 Restaurants or bars can use LED lighting on outdoor patios and in other dining areas and create just the ambiance they desire while saving significant money over traditional lighting methods. For those with an outdoor business in an area where excessive lighting could end up infringing on residents, LED lights can help to ensure that your business is properly illuminated without infringing on nearby residences or other businesses by using precise optically controlled lenses and fixture housings. Unlike other light sources, LED are inherently directional, making them favorable for optical control. Put the spotlight on energy efficiency. Using LEDs for spotlights is a great way to draw eyeballs to your business without breaking the bank. Use LED lights to color-wash walls. Durable LED light sources are designed for large area and building illumination, and using LED lights as wall washers is more versatile than slapping on a new coat of paint, because with LED wall washers, you can change the look and the tone with a few flicks of a switch, rather than undertaking a whole new paint job. With their numerous attention-grabbing creative uses, long life, and energy-saving nature, LED lighting can truly be a boon to your business, and your bottom line.